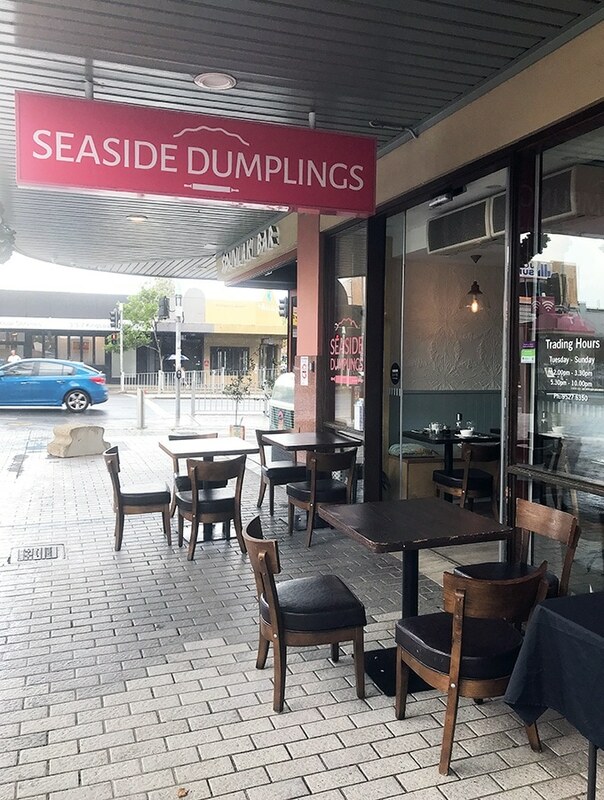 Seaside Dumplings in Cronulla offers a range of handmade dumplings and home style Chinese cooking. 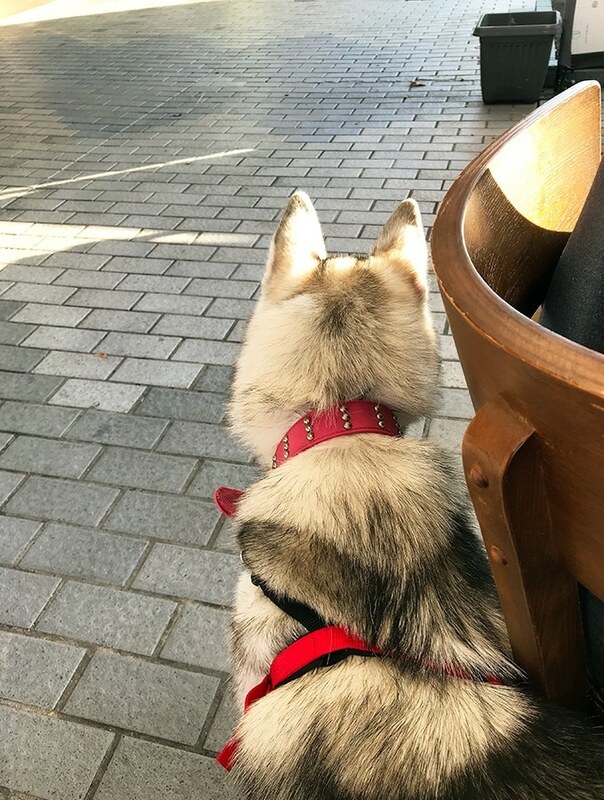 Plus the restaurant has a dog friendly outdoor seating area where your pooch is more than welcome to join you. 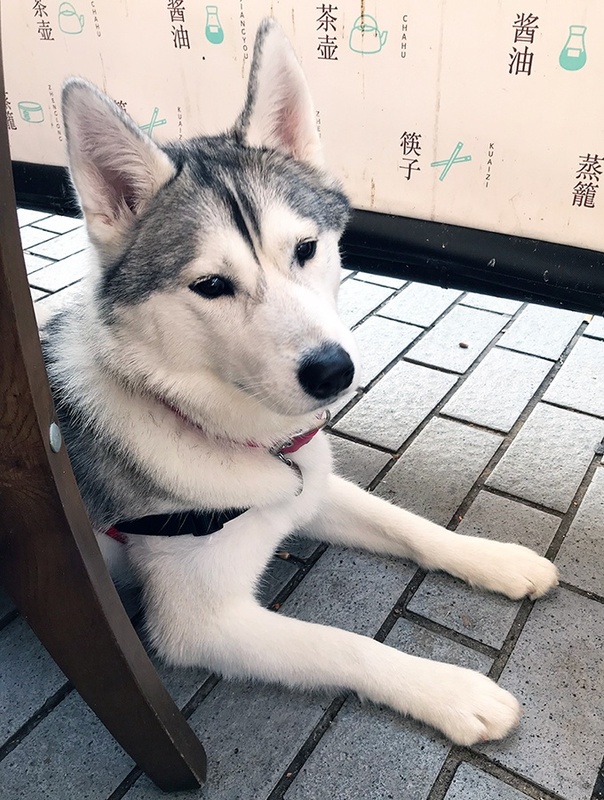 Since Harley came into our lives I have been looking for a dog friendly restaurant where I could get my yum cha/dumpling fix. Not as an easy task as you would expect. So far I haven’t found a true yum cha restaurant with trolley ladies with attitude. 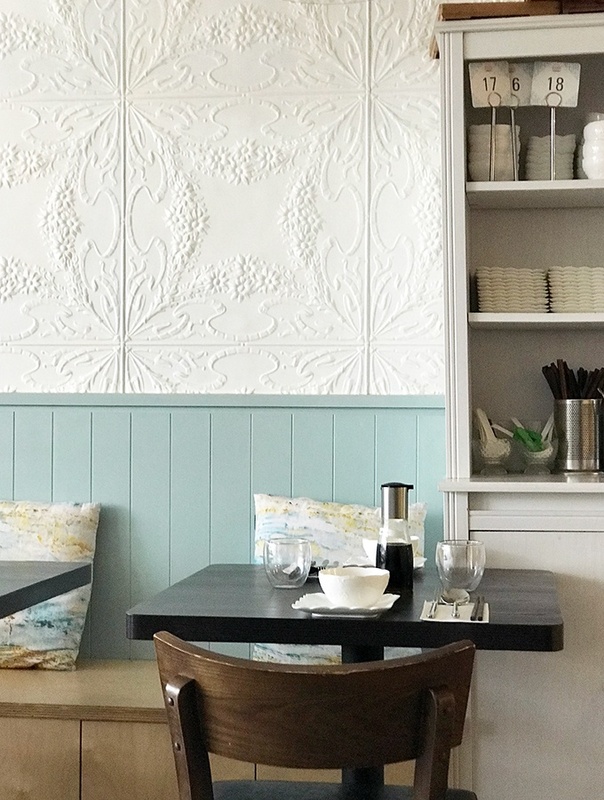 Seaside Dumplings is the next best thing, without a smidge of attitude, just good hospitality. The great thing is you are able to book too. We have eaten here with Harley numerous times now and she is always as warmly greeted as we are. They even offer your pooch water. Though I tend to travel like I have a toddler when on an outing with Harley. You will find chew toys, treats, poop baggies, water bowl and a big bottle of water in my ever growing handbag. So far we have tried pretty much everything on the menu. 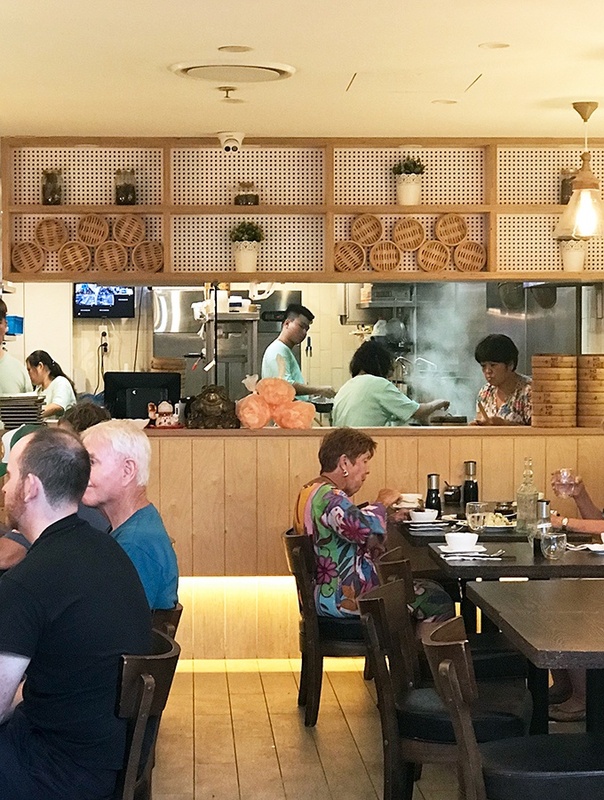 They offer both steamed and fried dumplings, and an assortment of noodle and stir fry dishes. The only thing that does upset me about the menu is the lack of fired prawn dumplings. I tend to crave these to the point I think I have an addiction. There is one other thing that bugs me about Seaside Dumplings, but is yet to stop me going. They never clear the table on their own accord. We are always having to ask them to remove used dishes. Which I may add they do happily when asked. 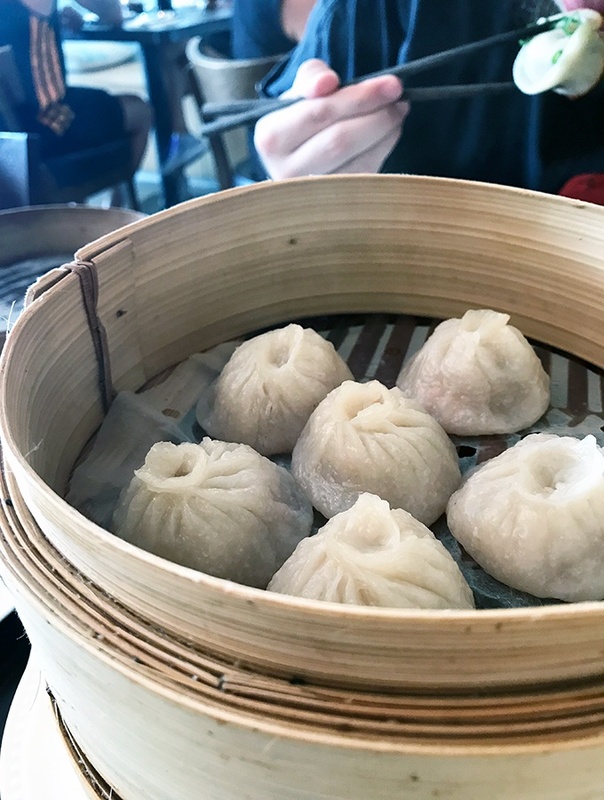 Din Tai Fung may still be ahead regarding their xiao long bao (XLB) offering, but Seaside Dumplings do them very well. Soupy goodness explodes in your mouth as should be expected. The little pork filling is also nicely balanced flavour wise. It is just a shame they don’t offer a side of finely sliced ginger to accompany them. They only make a certain amount of these dumplings a day. You will see them marked as “limited” on the menu. Another one to be careful of liquid explosion when you bite into them. 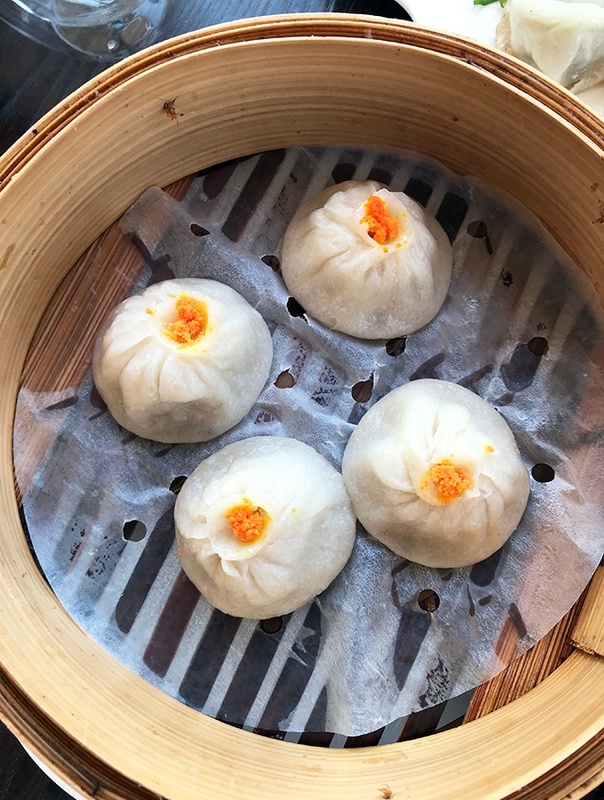 They have a delicate flavour, and are a nice one to have along with the XLB. 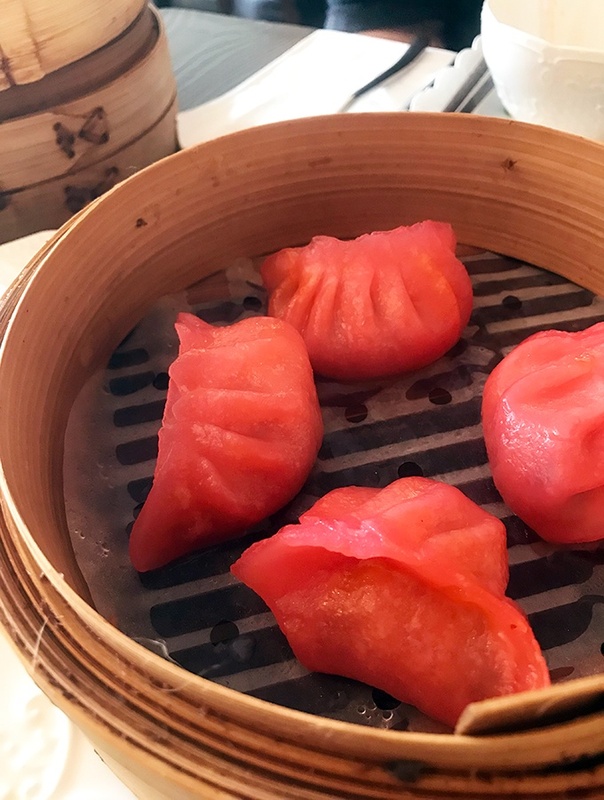 You won’t mistake which dumplings the kimchi ones are due to their rosy red colour. 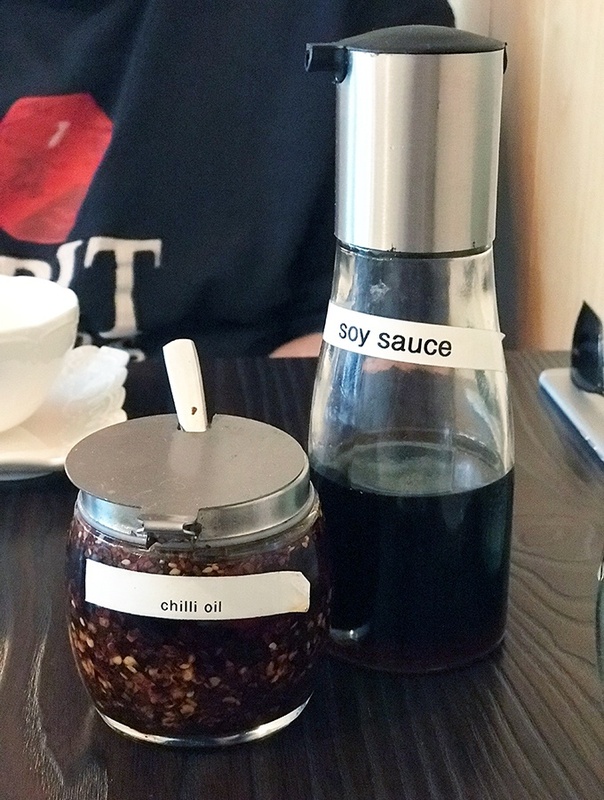 They definitely give the menu a bit of a mix up. Flavour wise I can take or leave these guys. The kimchi flavour is very very mild, and the dumpling wrapper is a little thicker than on the other dumplings. 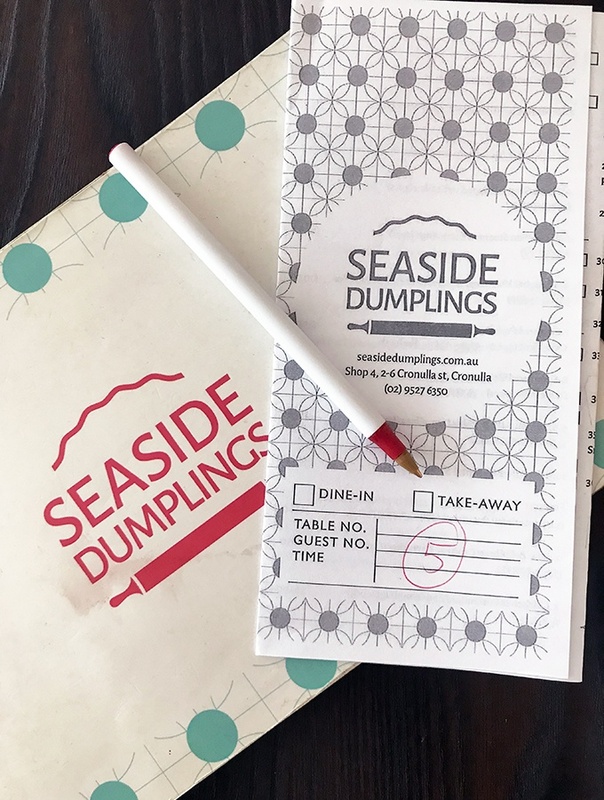 The menu at Seaside Dumplings has a larger offering of steamed to fried. They offer two steamed chicken dumplings, chicken and coriander and chicken and mushroom ($12.90/4 pieces). Over the course of our visits, we have tried both a few times now. A fan of both, but if I had to choose just one it would be the chicken and mushroom. 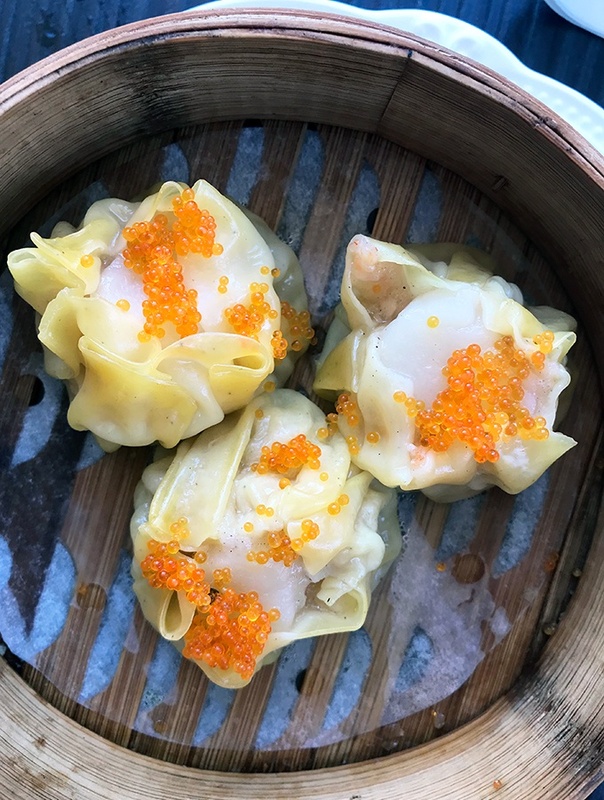 I tend to avoid shumai when ordering from the trolley ladies at yum cha. They generally just don’t impress me, and there are other more delicious things to be eaten. I always order Seaside Dumplings shumai. The wrapper is thin, prawn filling has taste and the scallop tops this mouthfull off nicely. The steamed prawn dumplings are packed with prawn and have lovely thin wrappers. We always order them and Harley is a bit of a fan too. 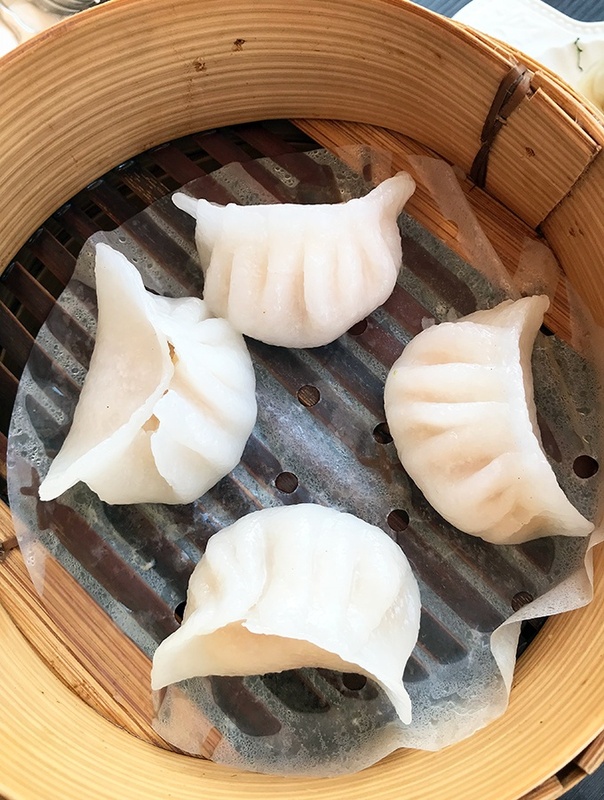 Oher steamed options on the menu are vegetarian steamed dumplings ($12.90/4 pieces), steamed pork and chive dumplings ($10.90/6 pieces) and bbq pork buns ($8.00/2 pieces). As yet I haven’t tried their bbq pork buns or vegetarian dumplings, next visit. But we always order the pork and chive dumplings. Sadly not pictured, but are a firm favourite. 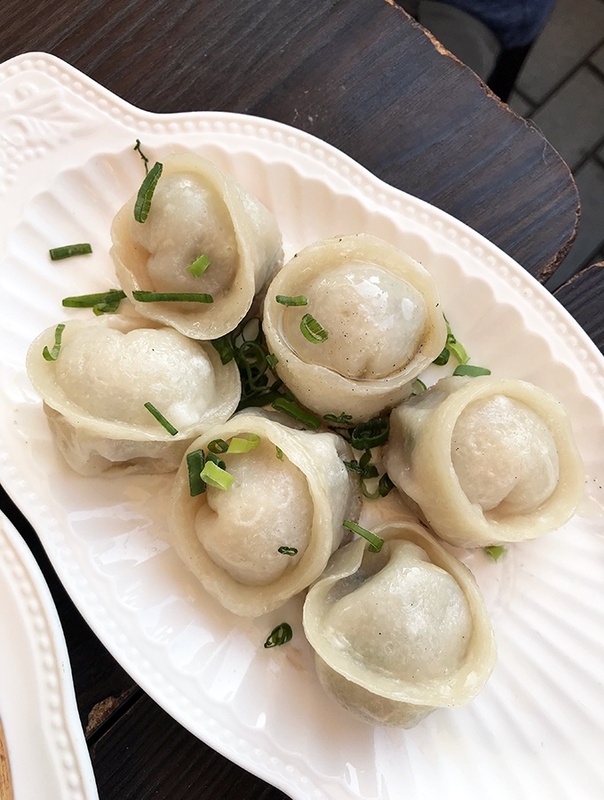 The pork and chive fried dumplings are my favourite fried option on Seaside Dumplings’ menu. They have lovely golden crisp bottoms with juicy pork and chive filling. The other fried dumpling offerings are vegetarian potstickers ($13.90/4 pieces), pork and Chinese cabbage potstickers ($12.90/6 pieces), plus chicken and coriander fried dumplings ($10.90/6 pieces). 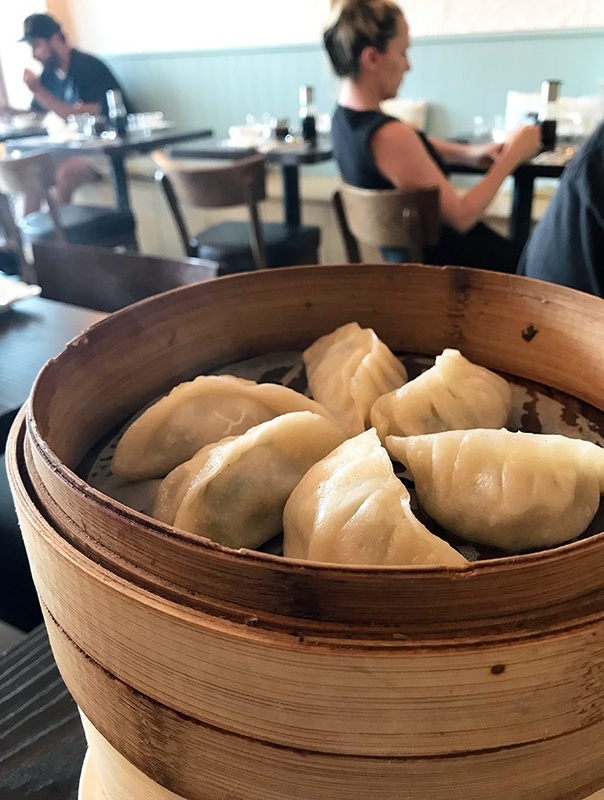 Not only do Seaside Dumplings have dumplings on the menu. There is also a range of other dishes as well. Deep fried salt and pepper silky tofu is a rather moreish dish. 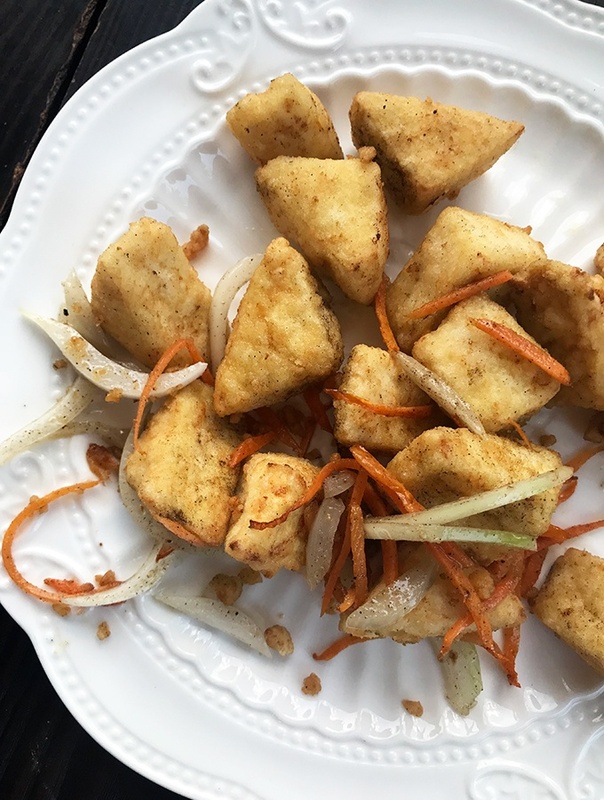 Crunchy outside and silky warm tofu on the inside. We have been known to order two servings of this dish. It doesn’t help when Harley loves tofu as well. 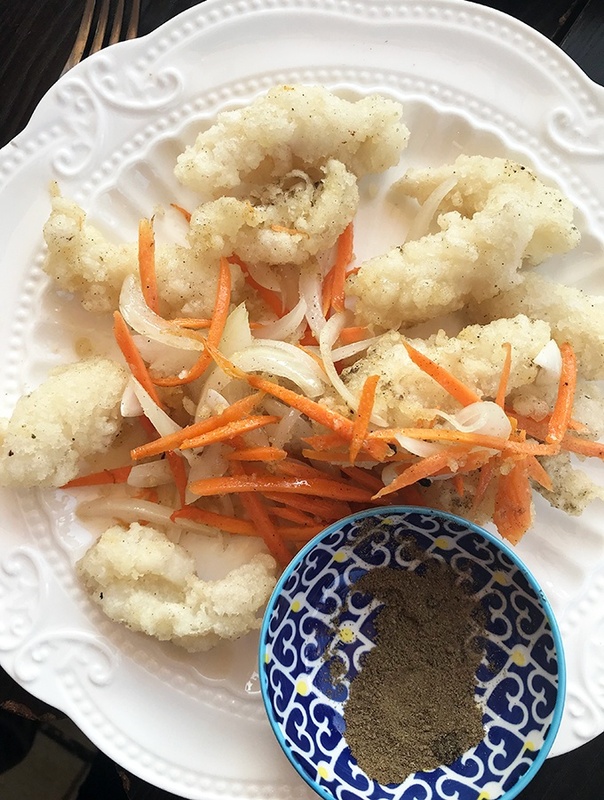 We have been known to order two serves of the salt and pepper calamari as well. In our defence, it is a small dish, under the “small eats” section of the menu. Lightly battered but still has a lovely crunch and is accompanied by five spice salt and pepper. The sauteed pork with Peking sweet bean sauce with pancakes are part of the “Big Eats” section of Seaside Dumplings’ menu. Just like the dumplings, the pancakes are housemade as well. 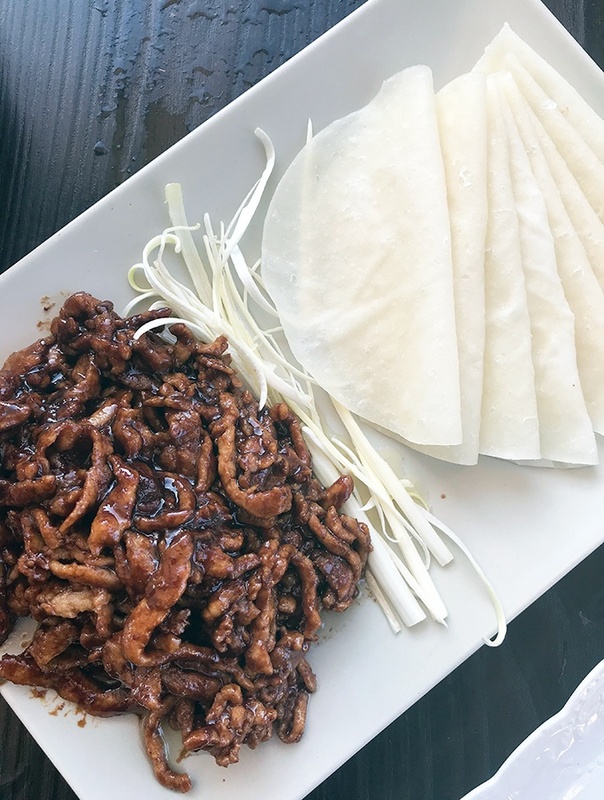 Thin slivers of sauced up pork are served with Mandarin pancakes and slices of spring onion. Be prepared to get your fingers a little messy. But that’s okay as it is pretty finger licking good. Another dish from the “Big Eats” section. 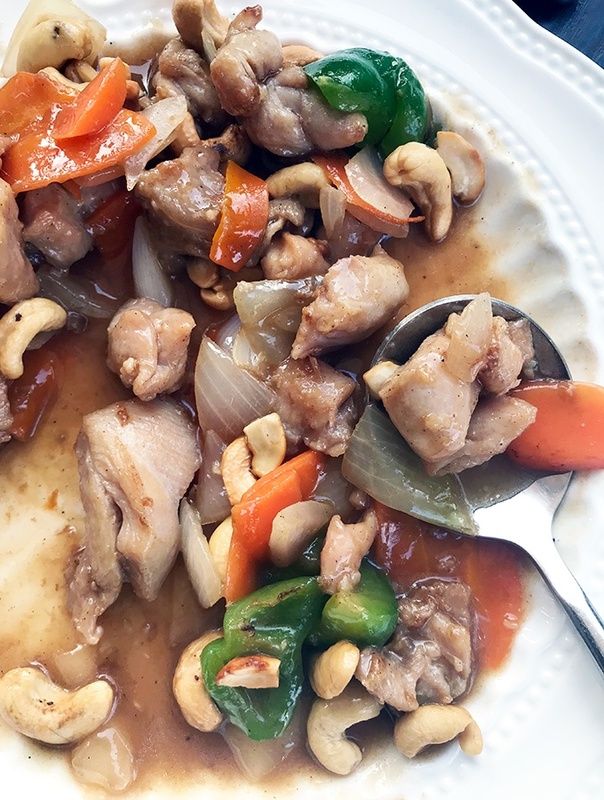 Chicken thigh fillets stir fried with cashews, onion, capsicum and carrot. You will also find a few other, what I regard as Aussie Chinese favourites, on the menu. As we are drawn to the dumplings, we are working our way through those. I have tried the stir fried black pepper with with snow peas ($22.90). It has a nice pepper kick to it. 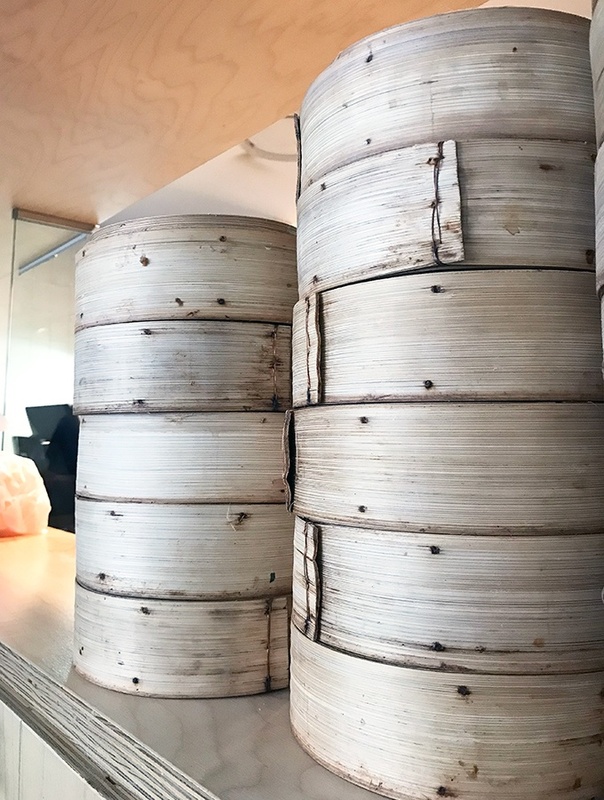 You will also find dishes like honey lemon chicken ($20.90), sweet and sour pork ($20.90), red braised highlands pork belly with baby bok choy ($24.90) and crispy garlic fried pork ribs ($22.90). The menu does change with new dumplings making an appearance. On our last visit there were fried wontons and a steamed baby spinach, prawn and dried scallop dumpling. There is only one dessert offering on the menu, caramelised apple with vanilla ice cream ($10.90). Apple slices are battered and deep fried, then covered in caramel which hardens. The ultimate toffee apples! The serving is generous and will happily feed two at the end of a dumpling fest. They don’t serve coffee, but the cake shop next door does takeaway. 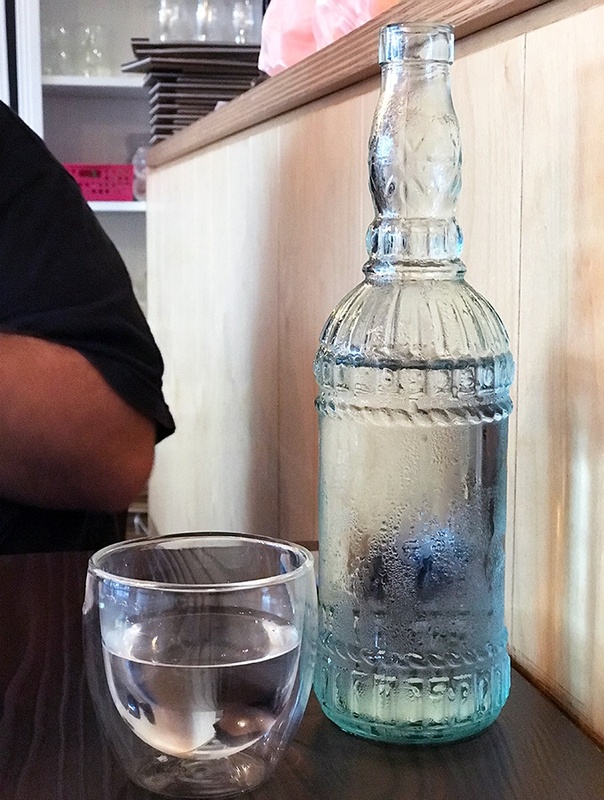 Staff were quite happy for us to grab some coffees to enjoy with our dessert when we visited last time. Also, it is good to note they are BYO alcohol. BYO: They don’t serve any alcohol, therefore BYO wine, beer an cider. All of these dumplings sound super!! your photography is so Nice,Thanks for sharing!! !